A native of Detroit, Michigan, he completed his undergraduate work at Kenyon College, Gambier, Ohio. He received his medical doctorate from Wayne State University School of Medicine, Detroit, Michigan. 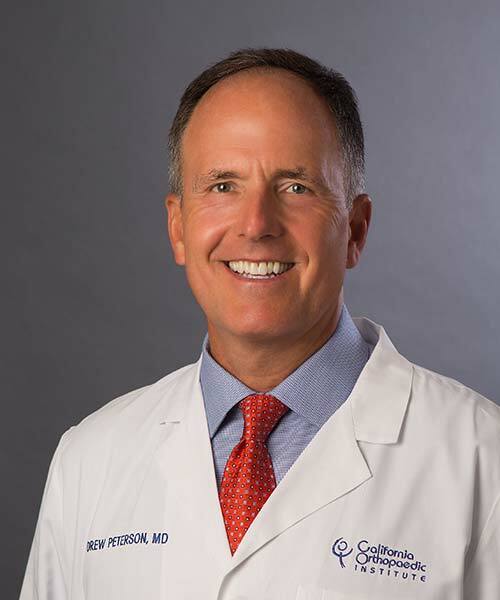 Dr. Peterson completed his surgery internship at Northwestern University, Chicago, Illinois, and an orthopaedic residency at Naval Medical Center, San Diego, California. His post graduate training included two fellowships: Hand Surgery at Naval Medical Center, San Diego, and Foot and Ankle Surgery fellowship at Harborview Medical Center and University of Washington, Seattle, Washington. Post fellowship positions included Staff Orthopaedic Surgeon, Director, Foot and Ankle Surgery Service and Staff Orthopaedic Hand Surgeon, Naval Medical Center, San Diego, California. He joined California Orthopaedic Institute in 1996.